Former Sinn Féin Councillor John Dwyer is running as an independent candidate in Wexford. 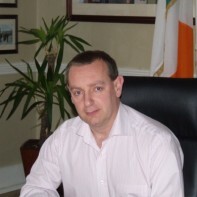 In 2009, Dwyer split from Sinn Fein, a party which he had been a member of since 1981. Dwyer's political activism stretches back to the 1980s when he became a shop steward of the factory in which he was employed at the age of just 17. He has served as a local politician on New Ross Urban District Council since 1999 and on Wexford County Council from 2004 - 2009. In an interview carried by An Phoblacht in 2007, Dwyer claimed that one of his earliest political influences was RTE programme Hall's Pictorial Weekly.